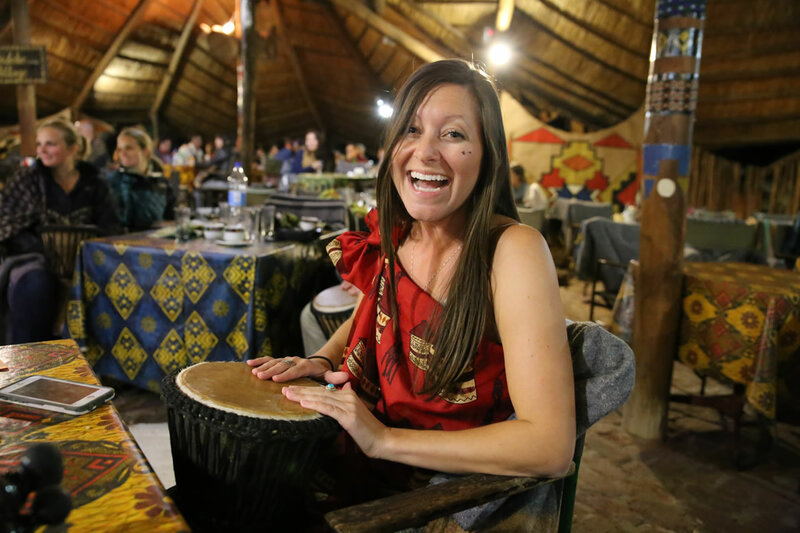 The Boma has become some thing of a must-do activ-ity for visitors to Victoria Falk certainly ending up in most tourists’ schedules irrespective of where they stay for their visit. in the company of four other Ha-rare-based travel and leisure writ-ers, I had the pleasure of a trip to Victoria Falls this week, with a vis-it to The Roma among the list of activities laid on for us while there. Although I have eaten at this acclaimed venue on a number of occa-sions, each visit proves fascinating, mainly because of the amazing mix of people found dining there It also unfair simply to describe it as “only” a dining venue: it is more of a dining-based experience, and it’s a great evening out for anyone interested In some fun. When we went there on Wednes-day night, there were Americans, Chinese, Australians, Germane, Italians, South Africans, Japanese and other nationalities, too. Not that Victoria Falls is buzzing, this is the start of the peak season, when internationals take up their long-haul holidays, and this peak should last until well Into September/October. Reports are that business is not at the levels that hoteliers and other tourism folk are hoping for, and certainly hope this changes … but at the moment the picture is not an entirely satisfactory one. 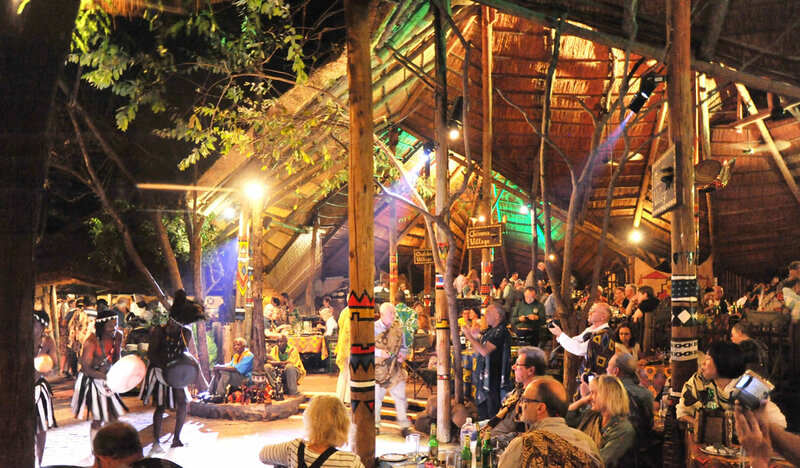 The Boma was buzzing, though, and everyone seemed to enjoy the experience of an insight into an African cultural experience. 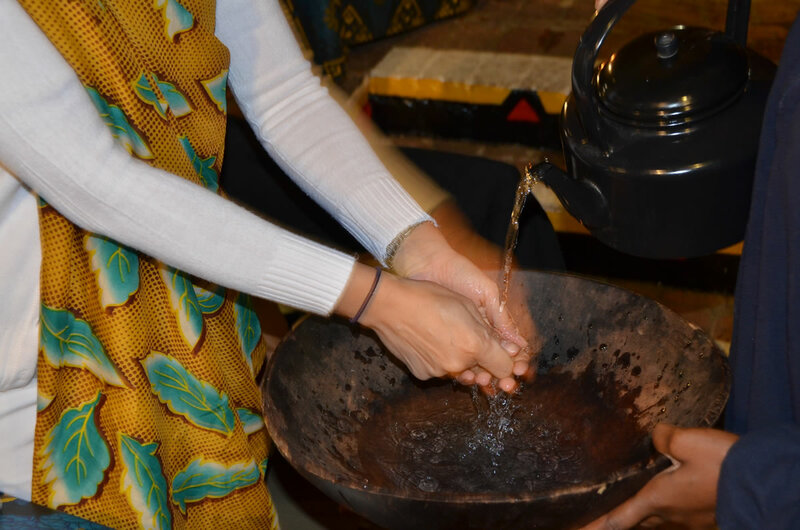 There were food drink artefacts, dancing and drumming thrown into this experience, and the energy of the oc-casion was remarkable. 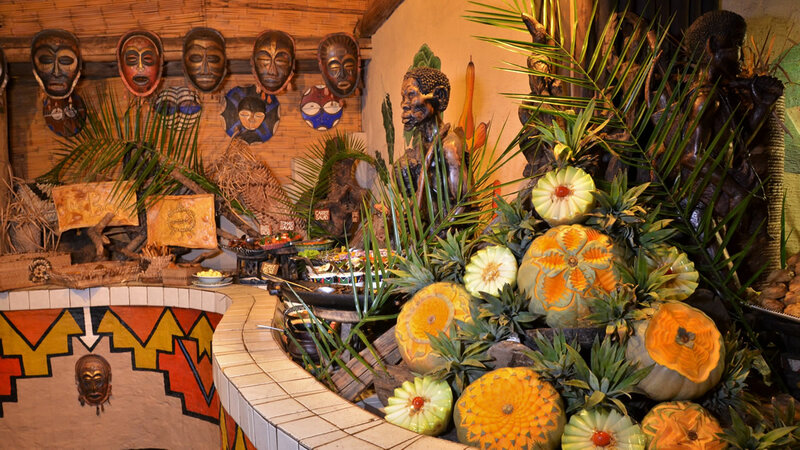 The plaque at The Boma tells us that it was first opened back in 1995 by then Tourism minister Herbert idurer wa, and its part of the marvellous Africa Albida Tourlsm Group property at the falls. In ad dition to The Boma, this includes the Victoria Falls Safari Lodge, Lo-kuthula Lodges and the new Wtoria Falls Safari Club (very upmarket and highly acclaimed), all situated just outside town on the mute out to the river and the national park Driving there, one can usually find wildlife in and around the property: we saw a herd of buffalo. On arrival. 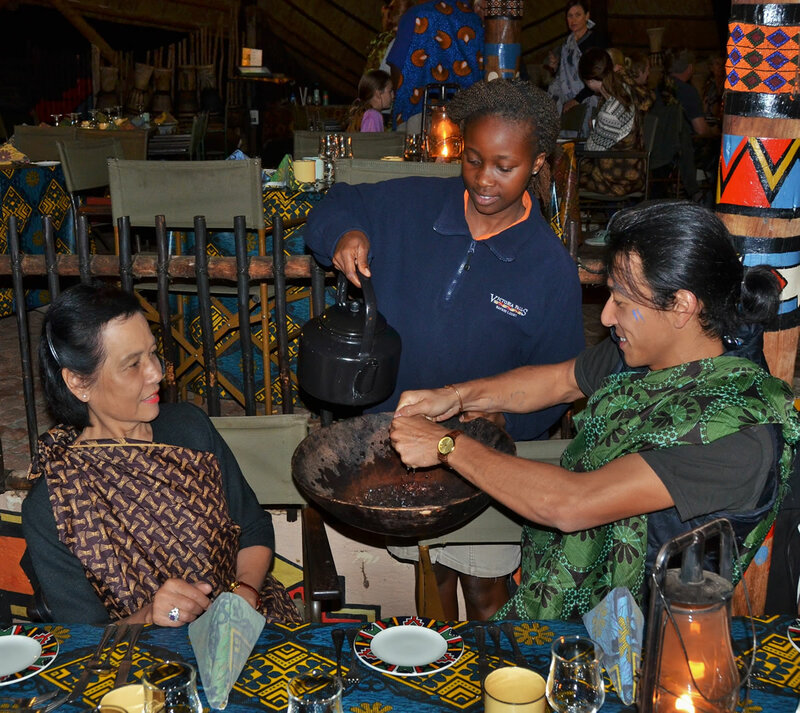 a guest is given an ettt nic fabric, which is tied around him or her and gets the guests Into the African feel of the occasion. The walk through to the dining area takes one through a curio shop, past a choir and across the front of the lxir. Inside the huge dining venue. with its thatched roof and bright-ly painted walls and other feature.s, there is seating for 30C)plus guests: the numbers there must make I bra-re restaurateurs’ eyes water, dreaming of days gone by (and. we hope. lays to name!). 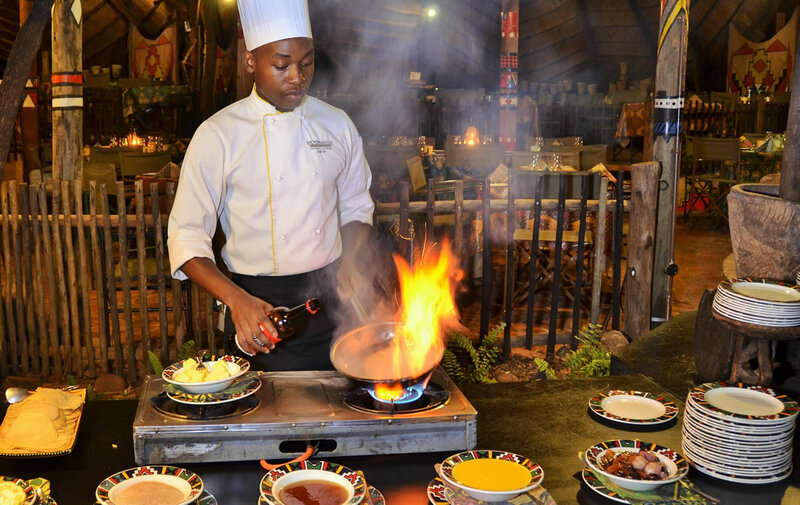 Seated at tables, first offering Is sample of traditional beer along with a platter of local foods, including crocodile treats. 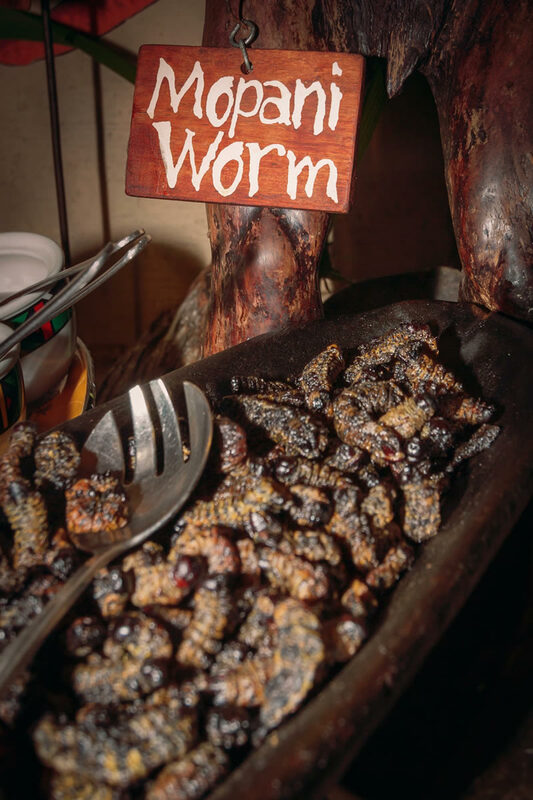 Certificates are given to people sampling Mopani worms for the first time! Then it’s on to the huge carvery and buf-fet. where meats are selected and cooked in front of you, and accom-triniments can be selected from the large display that rum; from sal-ads and vegetables to starches and breads. 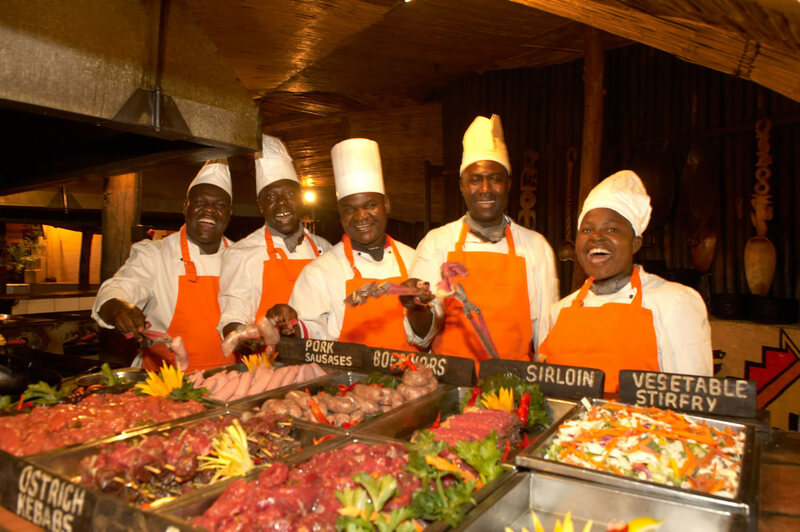 On the night we were there, the meat selection included beef, chick-en, warthog, eland and boerewors. I went for the (I suppose) unimagi-native selection of sirloin steak, but my fellow writers went for a wide range of everything and reports of the warthog and eland meatballs were ecstatic. Desserts followed and the selec- tion Is good: I chose a little of AT-eral, including chocolate mousse, trifle, a steamed pudding and an eclair. 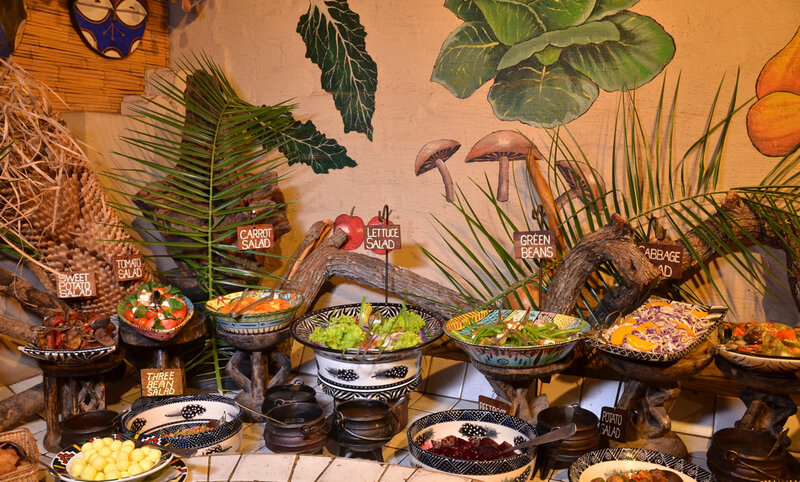 It’s definitely not a venue for the vegetarians (though the select Lion for them is appealing, in terms of salads and vegetable offerings) nor is it for the dainty: It’s all very heart and robust, like the venue and the ambience. 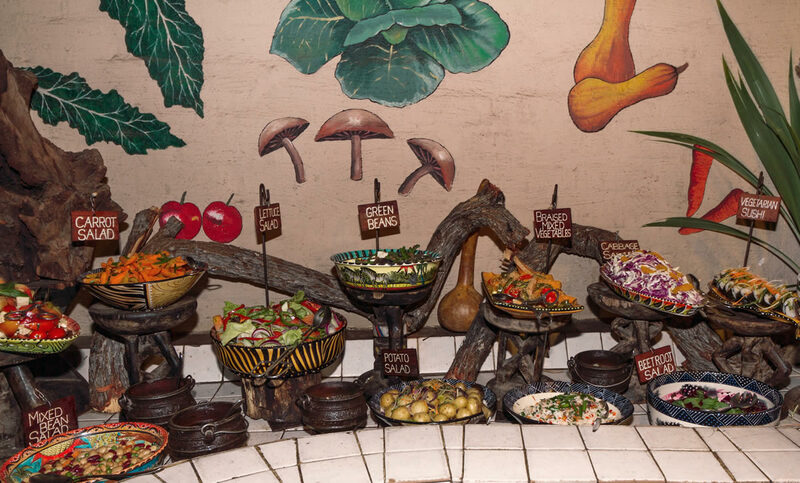 The accent is on get-ting down and having fun, and African cuisine is decidedly meat-based. While we ate along came the musicians, including drummers and singers, and by the time we were on dessert out came the drums for eve ryone, as we were all led into a mass drumming session that had the of of being entertaining and stress, relieving, banging away with our palms onto the drumskIns for half an hour or so. It really is great Ihn and the internationals were quite taken with both the concept and the execution both are well thought out and undertaken with flair. Ifs newt a really late night, which isgood fora venue like Victoria FTILc where mornings are usually early especially for game drive trips — and by lopm everyone was steaming back onto the tour buses and other transport back to the various hotels On the night we were there guests had come from no fewer than seven different establishments By Harare standards dining is not cheap, and while most visitors prob-ably don’t know what the charge is. as they buy package holidays, it does in fad offer great value as there’s no restriction of food intake. and I saw more than a few of the men among the audience returning for seconds from the meat selection. As I said before, its more of an evening’s ex-perience than simply dinner. so the per person cost covers all of this The staff were polite and charm-ing. and greetings were genuine and welcoming. The guests had It all ex, plained quite clearly and no one seemed unsure of what to do. The Boma has been well-receired by thou, sands 4 visitors met the years and the talk in the travel world is equally greithe so ifs no surprise that eve none experts a trip to this venue as part of their Victoria Falls raay Ifs only available at night and I did wonder why a daytime experience has not been considered: however. I answered myself by recognising that the ambiaence and charm of the night. as well as the knowledge that them was no activity to rush to afterwards, made this less of an attraction. 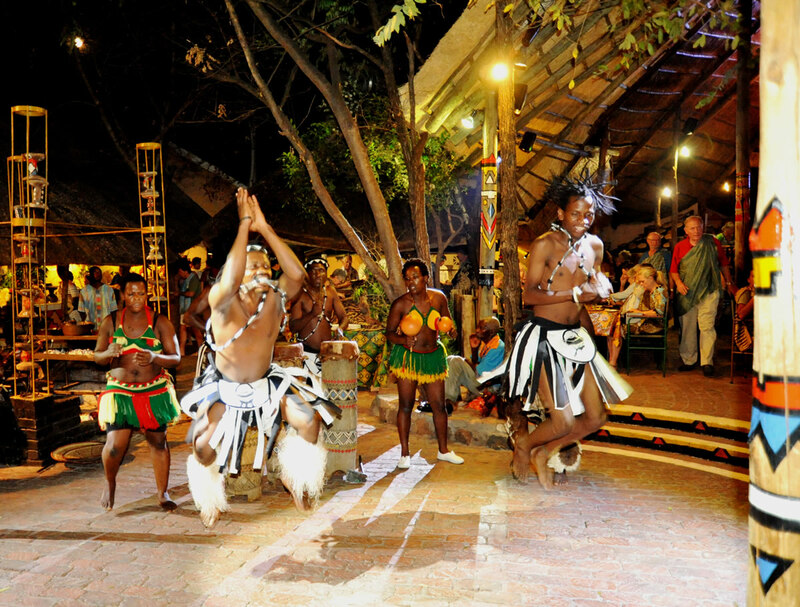 The Boma, operated by Af-rica Albida Tourism group opens even night from 7pm. : Advance booking is essential. either through The Boma direct or through your travell agent or tour operator.